Today, I get to enjoy a more fulfilling, but still challenging life working at all the various endeavors that I love. 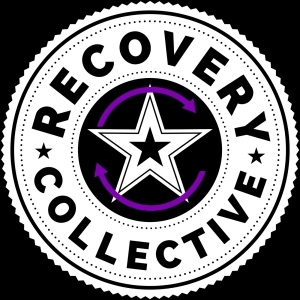 Whether it’s photography, music, radio, or writing and speaking about communications and recovery subject-matter that I’m so passionate about… none of it would be possible without my sobriety. Yeah, life’s still hard, real hard sometimes. I still make mistakes. Many. I still get down, but I’m never out. And honestly, at times I reminisce about how the booze used to work and temporarily transport me out of reality and into fantasy land. You know, to “take the edge off” a little. But that’s just it… that edge that I used to choose to avoid back then, is the very thing that helps me grow, helps me get better, helps me learn how to handle what life throws at me today. Embracing the edge is what gives me the edge so-to-speak. This is the second great revelation that recovery provided. So today, I’m 15 (years sober) at 50 (years old in January). Hard to believe. 2018 will see the intentional launching of my recovery-focused work in earnest on this site, as well as over at my TOM LEU business page on Facebook here www.facebook.com/tomleu2 (I’d greatly appreciate liking and sharing that page if applicable for you or someone you know). I’m stoked, but I’m also scared because I’ve been procrastinating this for years. Why? Fear, plain and simple. Fear of being rejected. Fear of ridicule. Fear of being misunderstood. Fear of failure. But as I’ve also learned in recovery, facing fear is a necessary and positive thing. Doing it scared is a good thing. That which we avoid is oftentimes the very thing we must face and embrace. And so be it… today is a good day.